January 18th is the deadline to sign up for Friends of Trees. Street trees are $45 and yard trees are $65. The trees will be planted on March 20th, 2010. For the best selection, order your tree today or email the Roseway representative. It was a beautiful day, we planted 97 trees in Cully, Rose City Park and Roseway. Between donations from businesses and participants we were able to cover 100% of the costs and there is $15 left in our neighborhood fund for next year (Friends of Trees collects donations with tree orders and will forward that extra dollars to next yearâ€™s planting). The $300 that the neighborhood association set aside for the planting can be reallocated! 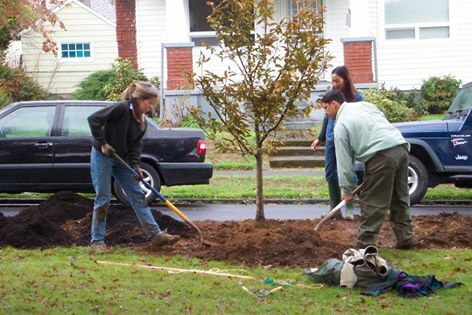 The next Roseway neighborhood tree planting is March 8, 2008. You can sign up now using the Friends of Trees automated system. This allows you the opportunity to order your trees earlier and get the largest selection. 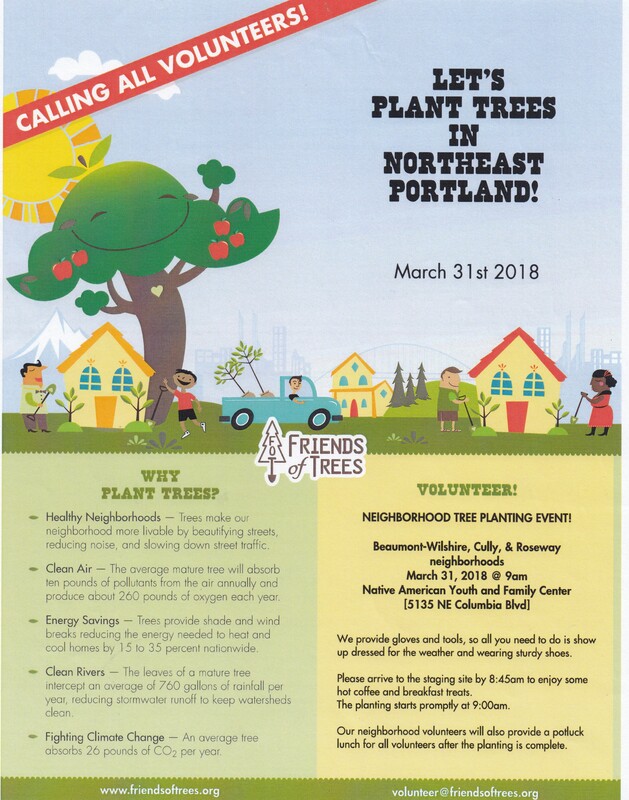 Signing up now doesnâ€™t not obligate you to buy a tree, however, purchasing a tree does obligate you to participate in the planting day and help your neighbors plant their trees as well. You can find out more here. If you have any questions, please contact Shannon Garcia at rosewaytrees@gmail.com.